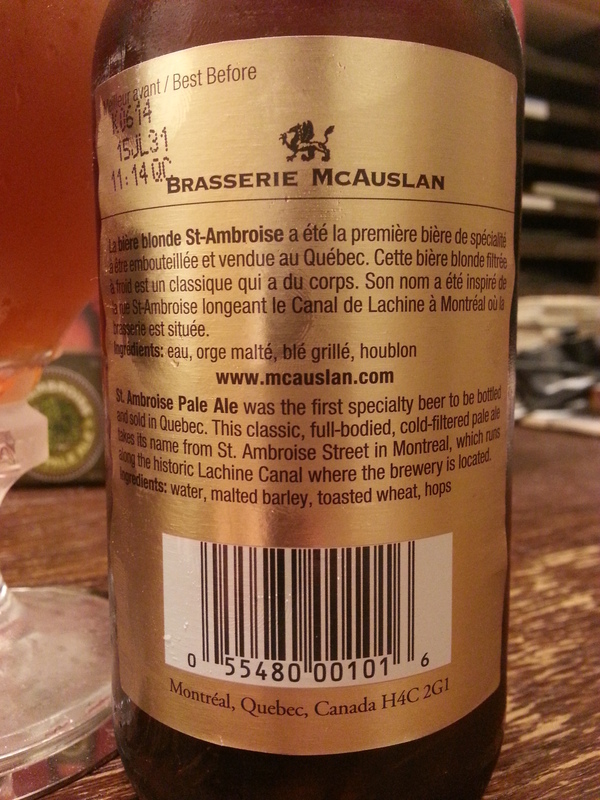 St-Ambroise Pale Ale – McAuslan Brewing (Montreal, QC, Canada) | Justintoxicated. 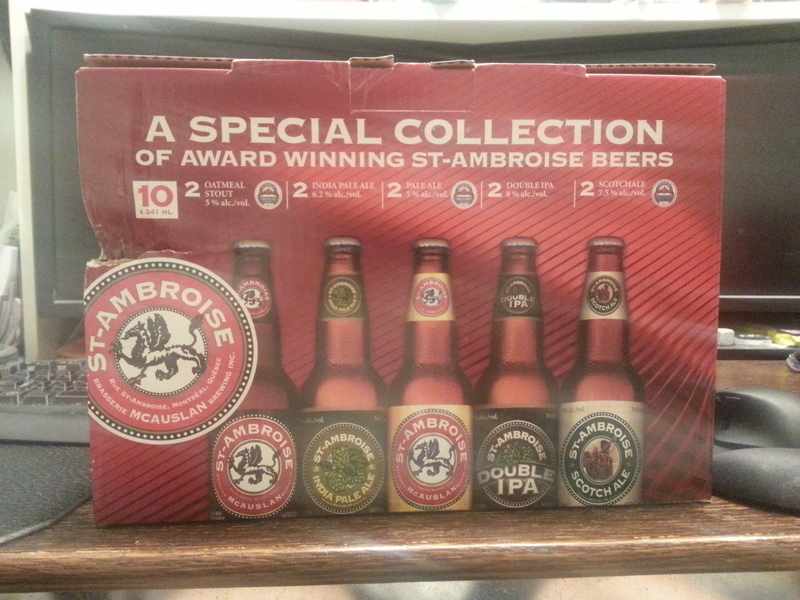 Ingredients: water, malted barley, toasted wheat, hops. Visual: Pours clear salamander orange with a dissipating small head, a thin layer of micro retention, a mix of fast and slow loose streams. Finish: soft bitter hops, malty clean but short finish. 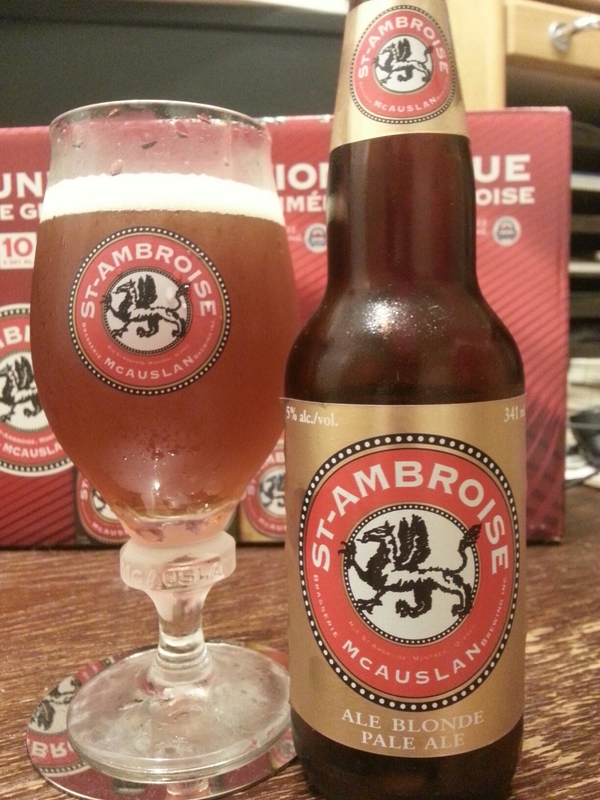 Summary: Easily drinkable but nothing much here. Very clean albeit basic malt profile with good texture. Lacks depth and character. Those nose was good, but the taste is just average.